That night they formed themselves into a committee and elected Mr. Wilkinson as our first president. There was a lot of moving around in those early years,money was hard to come by and so were premises. 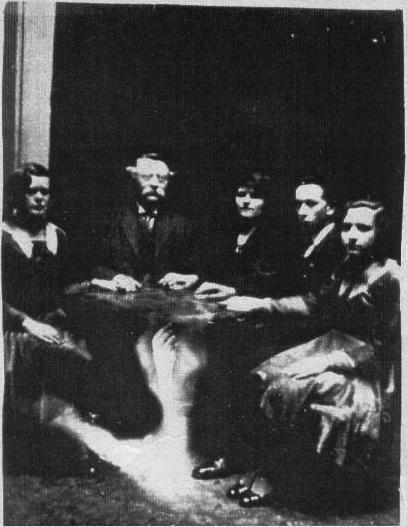 Many people were prejudiced towards Spiritualism; just imagine the struggle these people must have faced, not to mention two world wars. In 1911 Mr. Everett became our third president and our longest serving president of forty years. 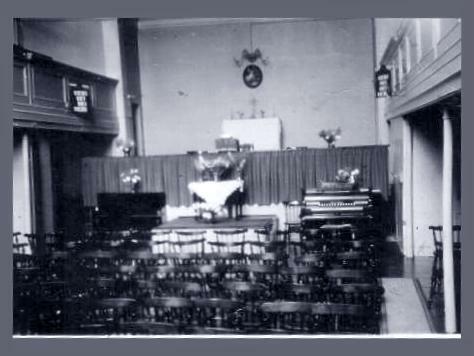 It was in 1921 that the Old Baptist Chapel in Mighell Street came up for sale and the owners who were the Virgo family had Spiritual communion, and that old Mr. Virgo had come through and told his family that a Mr. Everett was to be offered the building for the use of Spiritualism. Many committee meetings took place and it was decided that we would make a sporting offer of £1250 and much to our surprise this was accepted. £1250 was a lot of money in 1921 but Mr. Everett came up with a share scheme to raise some funds and also took on a mortgage. The purchase of Mighell Street Church took place and became a very happy Church, strong in membership and with a huge congregation. Miss Scoggins who later became Mrs. Everett would hold weekly transfiguration demonstrations which would attract many people to the church and raise lots of much needed funds. In 1951 Mrs. Everett became our fourth president due to her husband's ill health. Mighell Street Church continued to flourish under the leadership of Mrs. Everett but it was on 26th January 1961 after 10 years as president and after re-election Mrs. Everett said that ' due to home duties' she wished to retire in favour of Mr. Davies who's name had also been put forward. 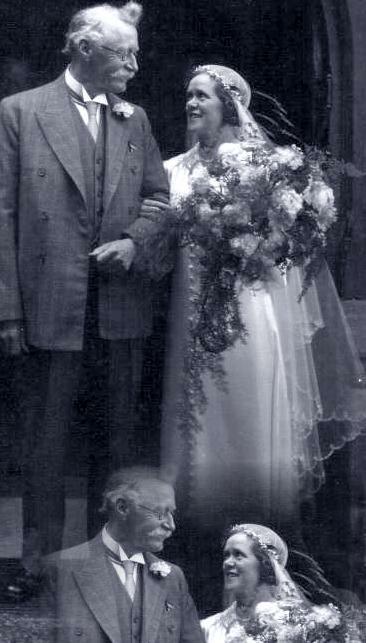 Mrs. Everett also suggested that Mr. Davies be put forward as National Minister who in reply said that Mr. Everett should be made honorary life Minister. At the same meeting Mrs. Everett read out a letter which she had received from a Mr. Gough stating that the compulsory purchase of our church in Mighell Street must take place and enclosed formal notice. Of course this was a devastating blow as so much hard work had gone into making the Church at Mighell Street beautiful; it had been the permanent home of Spiritualism in Brighton for over 40 years. But then they had just elected a fine leader in Mr. Davies and it wasn't long before a new site for a new church was found. In March 1961 Mr. Davies showed the committee the plan of the new site and it was proposed that the corner position offered should be chosen. In the meantime Mr. Davies said ' We must try to build and strengthen the real church composed as it is of individual members. 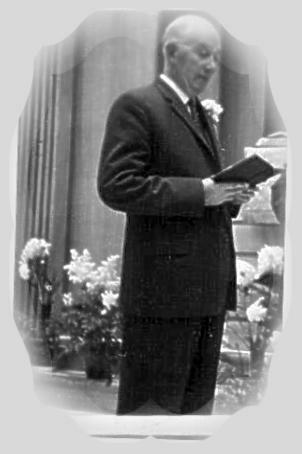 From 1961 - 1965 when our church at Edward Street opened there were many letters, telephone calls, site meetings and headaches for Mr. Davies and the committee to get it right - and he did. To quote our current president Joan Bygrave's words at the committee meeting held 9th June 1996 'Without his leadership, dedication and commitment to Spiritualism this church would not have been built. His example and experience will be greatly missed and he truly is irreplaceable'. 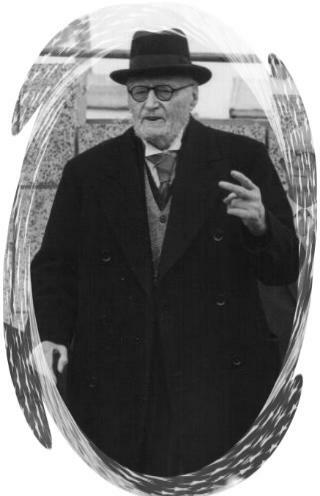 Mr. Davies was president for 31 years. Our church is a remarkable place to be. We have only had 6 presidents in 115 years, which goes to show that once you're here you just don't want to leave. I will close with the words of MR. H. J. EVERETT M.S.N.U our president of 40 years 1911 - 1951. IF YOU WILL ONLY PUT A BOLD FACE ON THE SITUATION AS I DO, LEAVING NO AVENUE UNTROD TO ACHIEVE THE END IN VIEW, THEN AND ONLY THEN, WHEN THE SPIRIT WORLD SEE THAT YOU MEAN BUSINESS TRUST THEM AND WITH ALL THE PHYSICAL POWER OF MY MAKE-UP I SAY TRUST THEM AND I KNOW THEY WILL NOT LET YOU DOWN. ALL THIS YOU WILL THINK IS PERHAPS BESIDE THE MARK, BUT WHEN I URGE YOU TO DO ALL YOU CAN, I INCLUDE THE NEED FOR RIGHT THINKING, AND RIGHT ACTING, THE PUTTING ASIDE OF ALL PETTINESS, ALL LITTLENESS, ALL MEANNESS WHICH HAS NO PLACE IN THE GREAT CAUSE OF THE FATHER. IN SHORT, THINK OF THE CAUSE, ACT FOR THE CAUSE, THEN OUR EDIFICE WILL GROW, NOT IN NAME ONLY, NOT IN BRICKS ONLY, BUT A TRULY SPIRITUAL BUILDING NOT MADE WITH HANDS. A full length version of our Church History is a permanent feature in our church, along with all the oringinal documentation and minute books including our very first minute book which are all on show. TO MAKE WAY FOR THE BUILDING OF AMERICAN EXPRESS.